We offer advice and expertise on how to best commute Magento. With latest techniques and industry standard in the world of eCommerce our dedicated team has strong Magento and PHP technology experience. Our expertise in custom development gives site uniqueness and our proficiency in open source platforms allows us to create a scalable and secure online store. We integrate our experience with profound industry knowledge to present end-to-end business solutions to the clients. Our multi-point approach to all Magento projects assures high standardized quality. 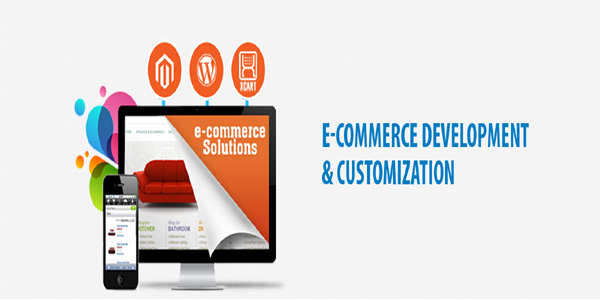 Take your e commerce website to the next level using Extension Development service. We customize and extend Magento in any way necessary to meet your needs. Accelerate the growth of your online business using Responsive Development service. One step towards securing your Magento Site by using Security Development service. Web performance tuning by Magento Speed Optimization to make your Magento Fly. Ignite your Mobile App Business using Mobile App Development service. Makes the Magento® eCommerce website according to the business requirements. Magento® upgrade help store owner to have store upto date with improve speed. We believe in innovation & high quality technological solution delivery. OSC uses latest technology for every project and build the most professional service solutions to business globally. We have utilized the asset of Magento in quite an effective way along with eCommerce development application. Improve your business activities through Magento and SugarCRM synchronization medium.You can effortlessly collect & keep the information of your online & offline sales because of Magento & CRM integration. SugarCRM provides business process optimization for online sales growth. It is easy to customize and adapt which provides an effective and time-saving solution. Open cart is an open source tool to develop a speedy & fast online shopping cart. It is fully based on PHP and MySQL techniques. Open cart development is very rich in features, managing an excellent e-commerce website store. It is easy & fast to modify. We provide you faster & quicker, easy, efficient & highly scalable service solutions. It is an open source e-commerce solution. PrestaShop provides a simple, helpful and light e-commerce solution. It is based on the Smartly template engine improving and increasing the features for the e commerce solution. PrestaShop modify and make more comfortable customers work with extra functionality. The first step in the SEO process is a search engine friendly website. The basic need of any E-commerce website is an improvement of website traffic. SEO includes both the creative and technical elements needed to improve website traffic, rankings and increase awareness regarding search engines. SEO offerings a highly-profitable solution to bring forth sustainable sales. Specializes in custom Magento development services. Come up with high quality and future-ready solutions. Keep tabs on the latest market trends to elevate the framework performance. Certified Magento Developers Proven methodologies and techniques. As a retailer of disability products, most of our online orders include some VAT exempt products and this module forms a vital part of our online store.All retail prices for qualifying products on the store front end display two prices: one including VAT and one excluding VAT. Honest and Dependable. The best IT company our organization has worked with in 22 years. Experts in website designs and plug ins installations. Projects are completed on timely basis and they will not push sales on on you—will only suggest the most important things that will get you up and running. These guys are great and we will continue to use them as long as we have an online store. Great work and even better folks.